What a night, huh? 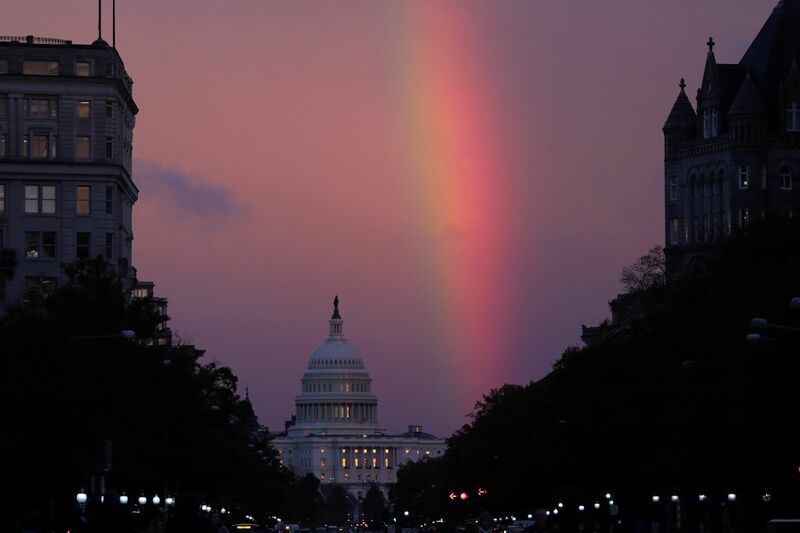 As it turns out, the rainbow that sat smiling over the White House yesterday, the day of the 2018 U.S. midterm elections, was a sign of good things to come, particularly in the form of LGBT wins. 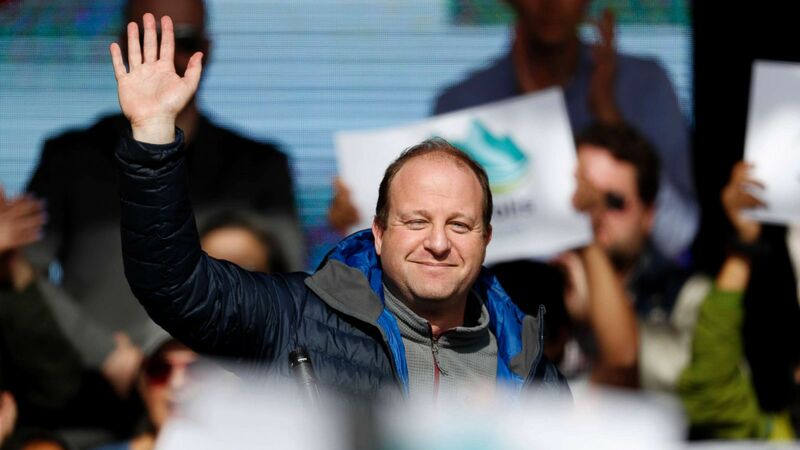 It was a memorable night for progressive advocates and activists, as the Democratic Party received an increased share of the U.S. House of Representatives despite not gaining a foothold in the U.S. Senate (where many progressives were disappointed to see a few Republican pickups). 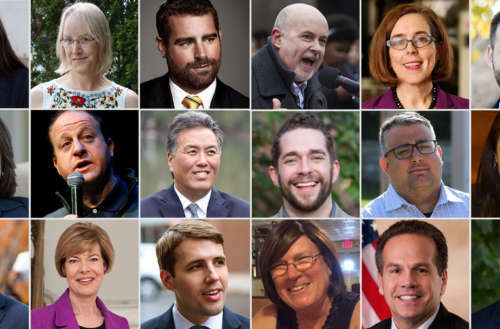 But LGBT wins last night spanned the U.S. Senate, House of Representatives, governors mansions, local propositions and statewide offices — truly a rainbow wave. And to be clear, there were stinging losses, no doubt. Several LGBT hopefuls failed to secure office in federal, state and local elections, perhaps none more prominent than Christine Hallquist, who would have been America’s first and only trans governor, for the state of Vermont. And then there’s the fact that we now have not one but two Pences in federal office, as U.S. Vice President Mike Pence‘s brother Greg won an Indiana House seat. A few losses from last night bring particular joy to the LGBTQ community as well — most especially the riddance of Kentucky county clerk Kim Davis from public office. You’ll remember that Davis found herself behind bars for refusing to sign the marriage licenses of gay couples, even after a federal judge ordered her to comply. Peter Boykin, founder of the North Carolina-based “Gays for Trump” also lost at the ballot box yesterday; he was running for a seat in the North Carolina House of Representatives. Now let’s take a look at some of the most heartwarming results from the big day. Not an individual elected to office but an LGBT-supportive proposition voted into fruition last night, Massachusetts voters said ‘Yes’ on Prop 3. Back in 2016, the state passed SB2407, which prohibited discrimination on the basis of gender identity in places of public accommodation. As Prop 3 was a “veto referendum,” a win for ‘No’ would’ve worked to repeal the state law. But nearly 70% of the state voted to support the trans community, with only 32% wanting the law repealed. She was the first openly LGBT person elected into the U.S. Senate, and she’s not going anywhere. Baldwin won her re-election handily last night. 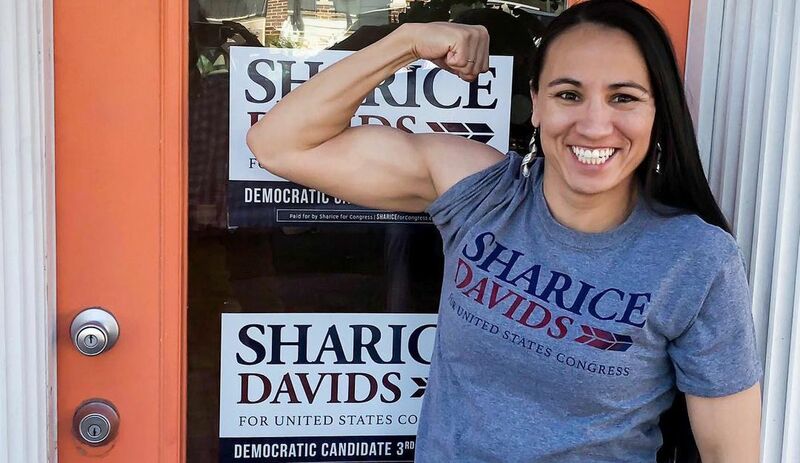 Not only did the office of governor in Kansas flip to the Dems last night, but Sharice Davids — a Native American, a lesbian and a former MMA fighter — will represent the state in the U.S. House of Representatives. She’s now one of two Native American women to serve on Congress (New Mexico’s Deb Haaland also won last night), and is the first LGBT person to rep the state of Kansas. This handsome member of the Pennsylvania state House of Representatives won his re-election bid last night. Head here to watch a thankful Sims responding to his success. Cicilline was running for the U.S. House of Representatives in Rhode Island, where he was the incumbent. 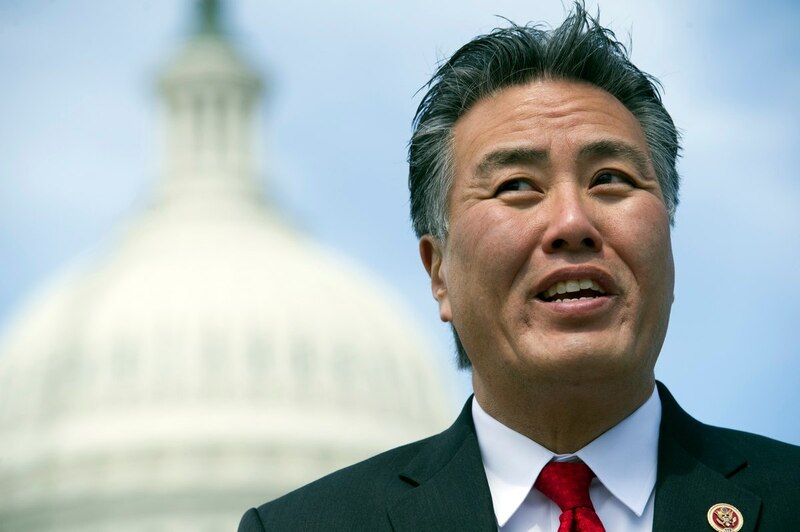 He also co-chairs the Congressional LGBT Equality Caucus. Last night this Democrat became the state of New Hampshire’s very first openly gay member of Congress. Though not LGBT-identifying himself, Wahls made a name for himself back in 2011 for a moving speech before the Iowa state House in defense of his lesbian mothers and marriage equality. 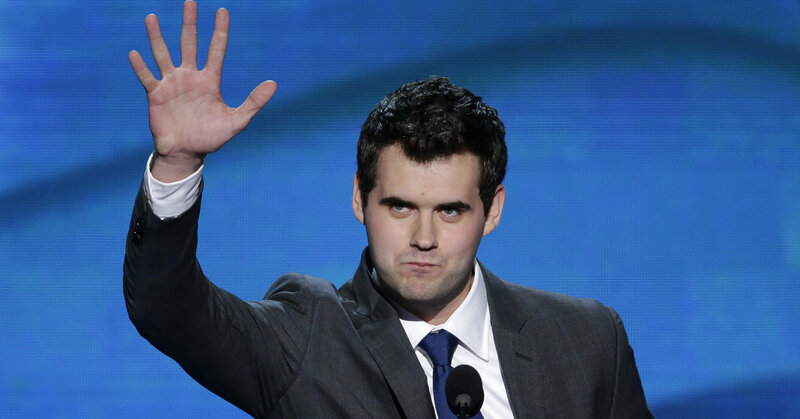 Now he’s the State Senator for Iowa’s 37th Senate District, one of the youngest people to ever serve in that role. The number of LGBT lawmakers in Texas literally doubled last night because of these three women. Julie Johnson defeated her opponent Matt Rinaldi for a seat in the state House. (Rinaldi was a special kind of nasty, as back in May he actually called ICE on pro-immigration protesters.) González, also a lesbian, will also represent Dallas. Zweiner, who identifies as bisexual, will be repping Central Texas. The first Black gay man ever elected to statewide office in Pennsylvania, Kenyatta, only 27, will be serving in the state House, where he’ll join Brian Sims as the body’s queer representation. “Nothing is impossible,” he tweeted last night after his win, saying he’s ready to get to work. 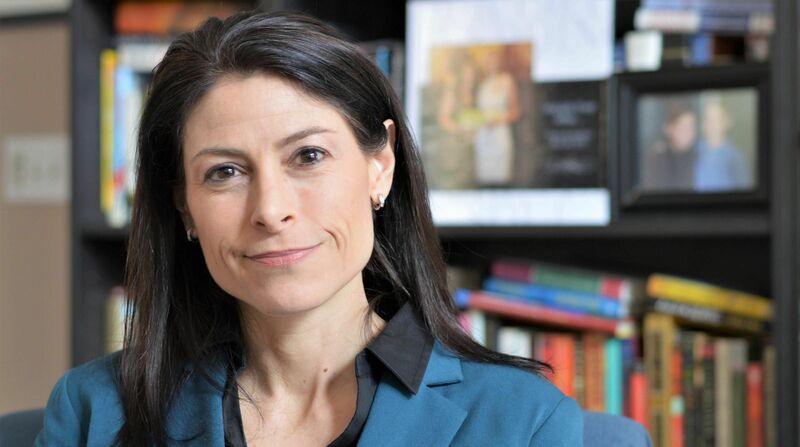 She’s now one of the few openly gay state Attorneys General, having defeated Republican Bill Schuette for the position in Michigan. One thing on the top of Nessel’s list is an examination of the Flint, Michigan, water crisis, along with marijuana legalization and civil rights issues. Angie Craig won her bid for a U.S. House of Representatives seat in Minnesota, defeating an anti-LGBT lawmaker (the best kind of victory, for sure). She will represent Minnesota’s 2nd congressional district as the very first openly gay mother in Congress. 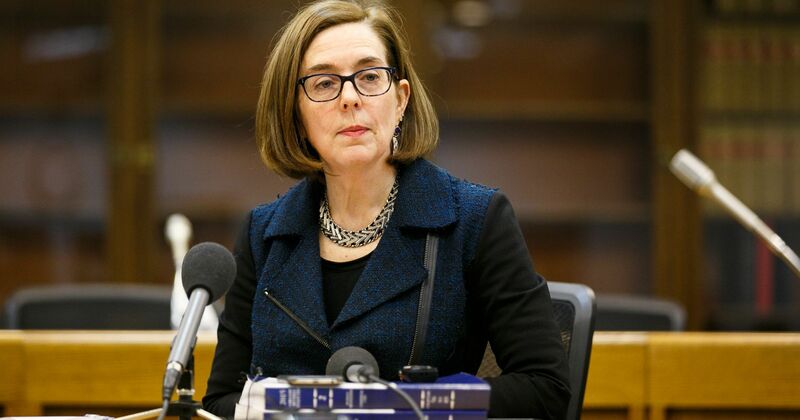 Before yesterday she was the country’s only openly LGBT governor (Brown identifies as bisexual), and now she’ll go on to serve another term as governor of Oregon. She fights for an end to conversion therapy and has already made it easier in her state for trans citizens to obtain accurate government documents. This Democrat has served as the U.S. Representative for New York’s 18th congressional district since 2013, and last night he won re-election. This member of the LGBT Equality Caucus won re-election to the U.S. House of Representatives for Wisconsin. This Attorney General of Massachusetts was re-elected last night, and she will no doubt continue her fight to protect queer equality, health care and economic opportunity. Takano reps Southern California in the U.S. House of Representatives, where he’s first openly gay person of color ever elected to Congress. He won his re-election last night handily. These two ladies both picked up seats in New Hampshire’s state House of Representatives. Along with Danica Roem of Virginia, they are currently the only openly trans individuals serving in state legislatures. As we said, LGBT wins are that much better when it’s an anti-LGBTQ politicians who gets the boot, and that’s what happened with J.D. Ford, who was running for state Senate against religious right candidate Mike Delph. This openly gay veteran (Rafferty served in the Marines) won a seat in Alabama’s state House of Representatives. After last night’s election, Hutchinson is about to become the very first openly gay sheriff in all of the Midwest. 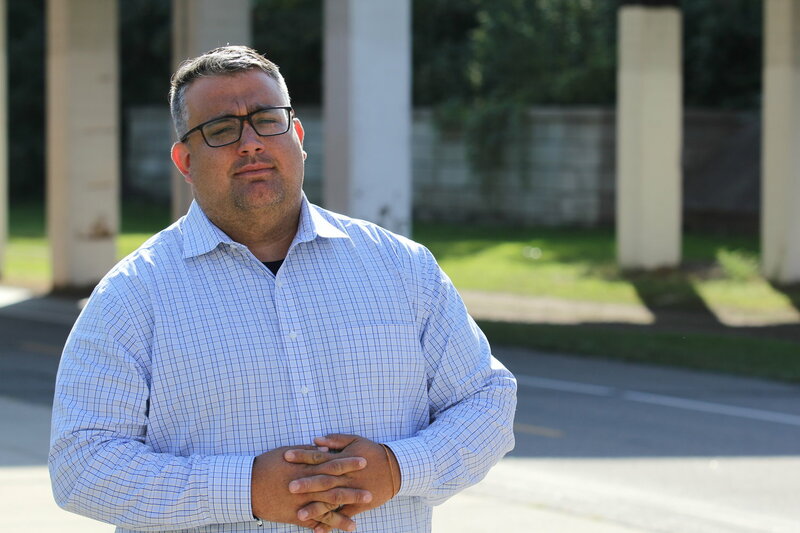 The veteran police officer defeated a Trump-supporting, three-term incumbent. This Democrat is the first married lesbian to hold a high office in the state of Florida, where she just won a seat on the Florida House of Representatives. Before yesterday, Nebraska was one of seven U.S. states that had never elected an openly LGBTQ state legislator. Hunt is officially the first queer candidate elected to the Nebraska state legislature. Hill has become the first openly LGBTQ woman elected to the U.S. House from the state of California, and only the second openly bi person ever elected to Congress. She defeated anti-LGBTQ incumbent Steve Knight, who opposes marriage equality and supported legislation to allow discrimination against LGBTQ federal employees. Victory Fund made Katie Hill one of its “Game Changer” candidates and raised thousands for her campaign. 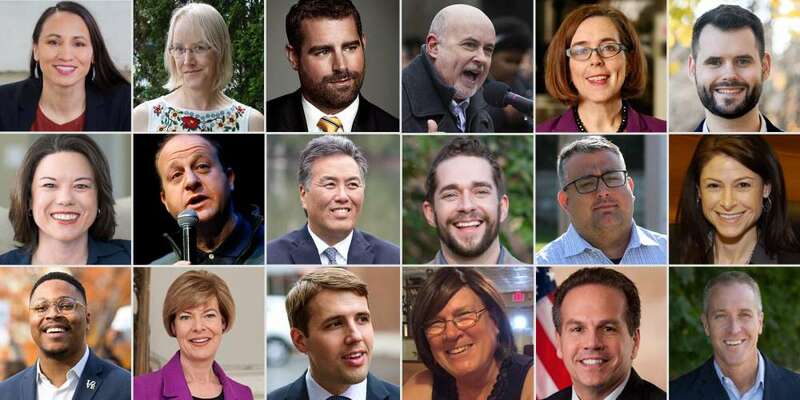 What do you think of all these LGBT wins from yesterday’s 2018 U.S. midterm elections?